Flea and tick season are a never-ending battle for any pet owner. It’s a good idea to protect your pets with effective and safe products. As the next explosion of pests arrives it’s time to apply the best products for flea and tick prevention. Many products exist out there and are effective, but are they actually safe for your pet? Prevention comes in many forms including collars, sprays, spot-ons, pills, dips, shampoos, and powders. Some products you can buy over-the-counter contain heavy ingredients such as permethrin, which can have serious side effects for your cat. These products are approved by the FDA, but there is more to the story. I have personally experienced my cats strong aversion to the application of these flea/tick prevention liquids on their nape. They run, they cry, they know what’s coming. It didn’t make me feel very good to forcibly apply harmful chemicals to my animals for the sake of pest control. Commonly used pest prevention products for your pets cautions you to avoid contact on human skin, to avoid possible ingestion, to keep your pets separated after application, to avoid application on kittens, and to monitor for “side effects” in your pets. The list is long and scary. Click It and Forget It!! I started investigating better alternatives to the heavy and damaging chemical induced pest control options, and discovered a great line of ALL NATURAL products by Only Natural Pet. They offer a variety of effective products to ward off the harmful pests that can attack your pets. powerful dosage of silicone dioxide particles which are encoded with repelling frequencies that are irritating to biting insects. The directive is simple. Once the tag is removed from its electro-magnetic shielded envelope and placed on your pet’s collar, encoded frequencies will synchronize with your pet’s own unique biological frequency, repelling fleas, ticks, mosquitoes and other biting insects, while also supporting their immune system. The process operates with quantum mechanic’s refined frequencies and is similar to the basic principles of homeopathy. Encoded silicon dioxide particles are encoded with repelling frequencies that are irritating to biting insects. It does NOT use traditional energy forms like electrical, chemical, thermal, magnetic, or radioactive. This hang tag, that easily attaches to your pet’s collar, will provide a barrier from fleas and ticks for a very long time, remaining effective for an entire year, even through the winter!! Going natural is the most cost-effective protection available. So as the cost may seem high, $59.99 (on sale now $50.99), it is worth it as it will continue working for an entire YEAR!! Just click it, and Forget it!!! The EasyDefense Flea and Tick Tag is the safest and easiest, best natural defense against fleas, ticks, and mosquitoes. The EasyDefense Flea & Tick Tag is designed for flea prevention. If your pet is already infested by fleas, their environment is also infested. Only Natural Pet has additional products to combat a flea infestation. EasyDefense All-in-One Flea Remedy is safe for your pets and for you. And if you want a complete product line, the Kit is available for all different ways to apply flea and tick prevention and killing infestations. Specially designed to defend your pet from fleas & ticks during various stages of attack, Only Natural Pet also offers powerful EasyDefense Cat Flea & Tick Control Kits that have exactly what you need to keep pests and dangerous chemicals off of your pet. The Protect Kit works with a powerful collection of protective ingredients, including a safe flea collar, botanical spray, flea eliminating powder and bio-energy. The Ultimate Kit includes the entire flea & tick control line. The ultimate in natural flea & tick control, this kit offers a holistic approach to eliminating fleas, ticks, and biting insects without dangerous chemcials. The Prevent Kit utilizes important tactics, like bio-energy, supplementation with brewer’s yeast, sprays, and shampoos. The Repel Kit repels fleas, ticks, and other biting insects during the height of flea & tick season, preventing infestations and allergic reactions from even starting. 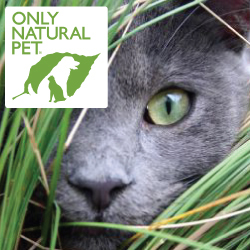 The Only Natural Pet Kits provide the best protection for your pet in the out-of-doors. Repelling biting pests is essential for any comprehensive natural flea control program, especially during the height of the summer months. As a consumer and a pet owner I have faith in the products from Only Natural Pet. The flea and tick prevention and treatment products are listed in this review. There are many great products to choose from including Vitamins and Supplements, Grooming and Cleaning, Cat Gear and Toys, and Health Concerns. The EasyDefense Flea & Tick Tag comes highly rated, and effective over a year’s time. Such great innovation and a comfort to know that your pet is not going to be affected by harsh chemicals but only natural and homeopathic-style mechanisms. Stop the parasite invasion NOW!!! The EasyDefense line sounds like my kind of products. While I do not own any pets (please don’t throw tomatoes at me), I firmly believe in natural products. Not just for humans but also for domesticated animals that become virtual members of our families. Natural, safe, organic, non-GMO these are all buzz words I look for in using products on or in my body. Thanks for sharing I am certain that your visitors’ pets will benefit greatly from this article and the products you are recommending. No, no tomato throwing!! LOL. You have to be able and ready for a pet. Anyway, I agree with you on all fronts about discovering buzzwords. People are more aware today, with having access readily available on product ingredients and safety precautions. We all are affected not just our pets, but the meat we eat too. The Only Natural Pet products really have created safe and therefore trustworthy products for pet care. Thanks for reading. Should i be worried about flees if my cats don’t go outside? Hi Andy, I would think that if you have indoor cats only, you do not need to worry about flea control. Only if your cats are exposed to a critter, let’s say a visiting dog in the house, they may come into contact with a problem. I would not treat them with anything otherwise, and no rabies shots either. Distemper shots maybe if they came from the out-of-doors, but not if they are lifelong indoor cats, and they should have been tested and vaccinated for Feline Leukemia at the time of adoption. Hope this helps. We just started to notice fleas on our cat, so I have been looking for a natural flea treatment. It’s funny, my wife is actually the one who noticed, because she was getting bit. She is always the one whether it’s mosquitoes or whatever, who gets bit. Sorry, I digress. One question for you, our cat doesn’t wear a collar, so are there options for that as well? I definitely want to start the All-in-one remedy to get what is there now, but I am interested in prevention as well. I definitely look for natural ways to deal with these pests, with little kids around the house too, it just makes more sense. Thank you for sharing, this has been very helpful. I am going to start with the All-in-one treatment for now. Hi Steve. Sorry to hear about your cat’s flea problem, but you do have choices that are safe with the Only Natural Pet line of flea treatment and prevention products. The “All-In-One treatment is a good place to start. Once you have things under control, and since kitty doesn’t take to collars, I would recommend the Defense Flea and Tick Spray. It should ward off more infestations. So good to know that kitty will be protected and can still enjoy the out-of-doors, and your wife doesn’t have to suffer too! !